Then came an Irishman who wrote something entirely different . . .
James Augustine Aloysius Joyce, February 2, 1882 to January 13, 1941, was an Irish novelist and poet, considered to be one of the most influential and important authors of the twentieth century. Joyce's Irish experiences constitute an essential element of his writings. Joyce is best known for Ulysses, in 1922, Dubliners - short stories (1914) A Portrait of the Artist as a Young Man (1916), and Finnegans Wake in 1939. He wrote poetry, a play, occasional journalism and his published letters. Joyce emigrated permanently to Europe in 1904 with his partner and later wife, Nora Barnacle. They lived in Paris, Zurich and Trieste. No matter. He writes about Dublin. On January 11, 1941, Joyce had surgery in Zurich for a perforated ulcer. He relapsed and fell into a coma, then woke a couple of days after that to ask a nurse to call his wife and son. They were on their way when he died 15 minutes later. Nora, who had married Joyce in 1931, survived him by 10 years and is buried by his side, as is their son who died in 1976. He rests in a prominent 'honor grave' with a seated statue of himself nearby. The Lost Generation was the generation that came of age during WWI. The term was made popular by Ernest Hemingway, who used it in The Sun Also Rises, but Hemingway credits the phrase to Gertrude Stein, his mentor and patron. Joyce was considered a part of that illustrious group which included Hemingway, F. Scott Fitzgerald, T.S. Eliot, Faulkner, Franz Kafka, Henry Miller and others. Published by Sylvia Beach in 1922, from her Paris bookshop, Shakespeare and Company. Joyce's method of 'stream of consciousness', literary allusions and free dream associations was pushed to the limit in Finnegans Wake. What do you think? Do you remember either of these works of James Joyce? 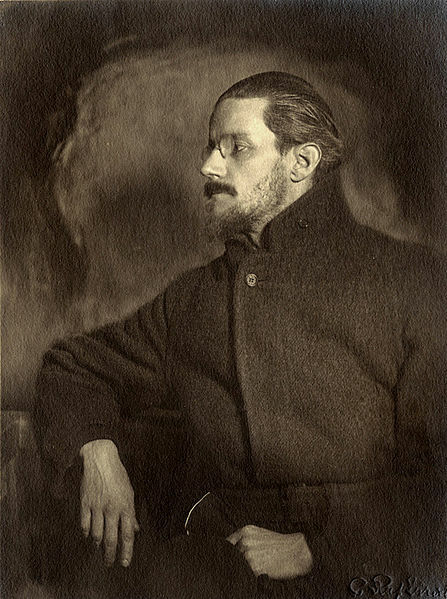 What do you think of other works by James Joyce? I do know of Joyce, but I haven't read any of his works. Maybe I should give it a go. Thanks for the informative post. I do love the name Nora. I believe we discussed him in Literature but not in depth. Sadly, I must admit I haven't read a thing by James Joyce. Not surprising when you consider this isn't an easy read. I haven't finished anything by him either. I'm surprised I never read any of his books in high school English. Perhaps the curriculum changed but he used to be part of English Lit. I remember reading some of Ulysses in either high school or college English class. I feel rather illiterate right now. I know who James Joyce is, but I haven't read his work. What I did find interesting is the subject matter of his writing. He wrote what he knew: Dublin. In point of fact, many of these "greats" wrote what they knew. Maybe that is the takeaway??? For sure, Robin, and they didn't have the internet then, only libraries and their own experiences. I don't remember it too well, but I believe we studied Ulysses in English while I studied in London. I just read about Ibsen below and I think your posts are so well done and so interesting. I can't wait for the next one, curious about which writer will show up. Thank you, Inger. I'm trying to highlight authors which may have slid off the radar and some that I personally like. . .
Ulysses is a bit of a chore to read for most. But he stayed true to his convictions despite criticisms which wins him my respect. True, Roland, and I admire the fact that he chose to go where he would have a better chance - France is usually more welcoming of new ideas. I read Joyce's PORTRAIT OF THE ARTIST AS A YOUNG MAN but have never tried ULYSSES. I love Hemingway's anecdotes about him. Hemingway had an opinion on many of his fellow writers. . .
We had to read Portrait in AP English in 12th grade. It went over my head. I've been averse to Joyce ever since. The teacher should have discussed it better then. Sometimes we learn better if the person teaching the subject likes it themselves.